Now that you are the proud owner of a new GoPro Hero3+ Black edition camera with fully charged batteries and you just installed a lightning-fast microSD card, you can just point and shoot, right? Then you feel your confidence waning as you boot up the camera and a big question marked looms in your mind…huh? 1080p or 2.7k? NTSC or PAL? 48fps or 24fps? What do all these numbers mean? After all, you just want to shoot some video, right? Well, let’s take a brief look over all the settings, break it down, and learn which settings are better for your environment. 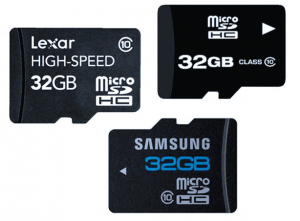 You are going to want to make sure you are using your GoPro Hero3+ with a fast microSD card. If you don’t have a fast enough card, a GoPro camera starts to reduce the bit rate (read: quality) to compensate for the lack of write speed and in some cases the camera won’t even record. GoPro recommends you use at least a Class 10 microSD card up to 64GB with their cameras. You should note that not all Class 10 cards have the same write speed and the Black edition needs a minimum write speed, so please refer to GoPro’s recommendation list on their website if you have that specific camera. Next to set up is your camera’s video broadcast standard: NTSC or PAL. While we don’t need to know all the nuts and bolts between the two standards, just know that NTSC is 30fps and PAL is 25fps. Here in the U.S. and in most of North America, we use the NTSC standard and almost everywhere else uses PAL. For a complete list of countries and which standards they use, a quick Google search can tell you more. Now to set our correct frame rate. As I just mentioned, here in the U.S. we use 30fps, or frames per second, as a standard for our television broadcasting. But, to confuse you, there is actually another standard that the film/cinema industry uses: 24fps. Quick history lesson… it is commonly thought that 24 frames per second became the standard because it was least amount of frames to use, but still have the film look real and smooth, not choppy and uncomfortable to watch. As you might expect, shooting on film was (and still is) an expensive way to capture motion. When you think that some movies can take several hundreds of thousands of feet of film during production, even one frame per second can save a production lots of money. Thus, that’s how film standard of 24 frames per second, or 24p, as it is commonly called, was born. So what should you choose? It really is personal preference. Many untrained eyes can’t discern the difference, so it’s not a crucial decision either way. If you are on the fence, I’ll leave you with this. Besides adding a “cinematic feel” to your footage, shooting at 24 frames per second will result in smaller file sizes, leaving you with more room on your card. Because you are capturing six frames per second less then 30p, you are freed up by 20 percent, which leaves more room on the card for filming your next skydiving outing. You’ll also notice other frame rate options, such as 60p or 120p. These higher frame rates are great for recording an event that you know you’ll want to see in slow motion during playback. Essentially, the camera will record extra frames per second knowing that when you bring it back to your computer, you are going to stretch the video out back to 24p or 30p, whichever frame rate you’d like for your project. This way of shooting is commonly called “overcranking.” (By the way, this is a great word to throw around when talking frame rates to make you sound like you really know what you are doing.) If you don’t overcrank and you stretch regular 24p footage by double, you are going to get a “choppy” feel when you play it back. This is because each frame is told to play itself twice before going on to the next frame. You will get slower footage, but nothing that is pleasing to the eye or is comfortable to watch. If we overcrank to 60p, we now have the ability to smoothly slow down the footage 2.5 times (60/24=2.5), and if we overcrank even more to 120p, we can smoothly slow it even further to five times the original speed. (120/24=5). Once you have chosen the right frame rate, you’ll want to make a choice on your resolution. 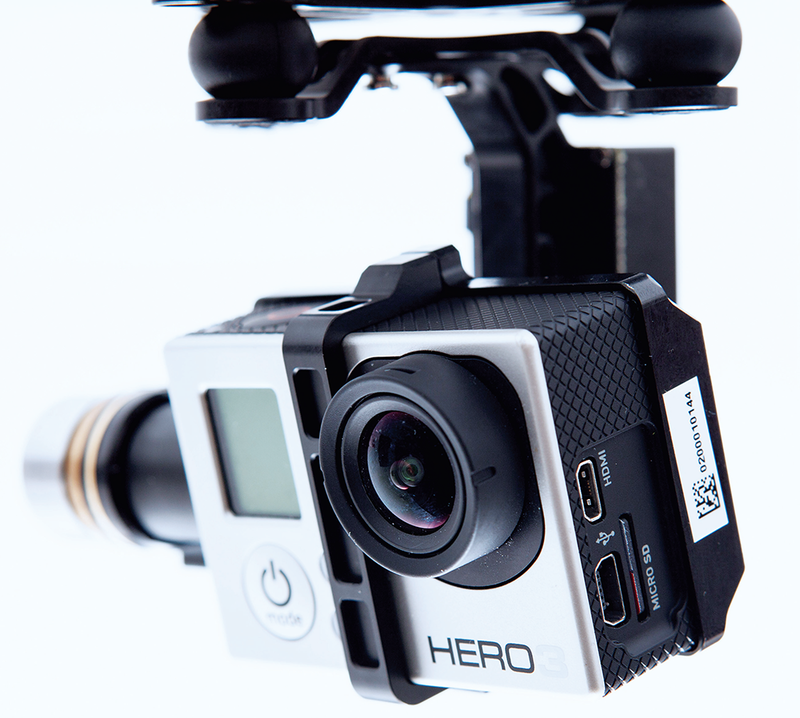 Currently, the GoPro Hero3+ Black edition can shoot over 10 types of resolution, from 4k down to WVGA. “But John, I just want to shoot HD footage, is there a mode for that?” Well, let’s dive right in to bett er understand the different options and see what each of them can do. Let’s start at the lowest resolution, WVGA. WVGA, which stands for Wide Video Graphics Array, has a resolution of 848 pixels wide by 480 pixels high with a ratio of 16×9, which is the most common aspect ratio today. Now if this were 1992, this would be fantastic, but unfortunately, it is 2014 and is no longer impressive. So why, you may ask, would this option be included in the camera? Well, because the camera’s computer doesn’t have to worry about recording all the other pixels on the sensor, it can take the resolution of 848×480 and overcrank the frame rates to 240p, or 10 times slower than 24p. While most of your projects won’t need this type of frame rate, it will come in handy if you want to capture, say, a hummingbird chilling out in your garden. Next up you have 720p, which has a pixel size of 1280×720, giving it an aspect ratio of 16×9. While technically considered HD, 720p in 2014 is thought to be not that impressive when capturing video. However, the same applies to 720p just as it does to WVGA; you can get higher frames rates, up to 120p. The most common resolution to film in currently would be in full HD, or 1080p. This is this resolution of Blu-ray discs and streaming video services such as Netflix. With a ratio of 16×9, you are getting a pixel size of 1920×1080. GoPro offers a variation of the 1080p resolution with an aspect ration of 4:3 and pixel size of 1440. While this “square” aspect ratio was the standard for TV up through the 90s, it has fallen out of vogue now that “widescreen,” or 16×9 is able to be shot on cameras. Why would you want to shoot with this format? One reason would be if you wanted the ability to pick which portion of the frame you wanted to use, either the bottom, middle, or top, and crop the rest out to a 16×9 aspect ratio. For those that fl y multirotors this might come in handy to crop out the sections of the video where you see your props poke in on the top of the frame. Going up in resolution, we next have 2.7K, which gives us a pixel size of 2704×1574 and aspect ratio of 16×9. When the GoPro Hero3 came out, it was considered a breakthrough that a camera of this size could shoot over 1080p, which for a while seemed like a glass ceiling for consumer and prosumer cameras. By shooting at a higher resolution, not only can we make out more detail in the image, but when downscaled, that is to say shooting in higher resolution but resizing for a smaller resolution, we have the added side effect of a sharper image. Downscaling, even at the professional end, is popular. We can see it in Sony’s F65 camera, which has a very large 8k sensor, but downscales when recording to its memory cards to 4k. Just as with 1080p, GoPro offers a variance to its 2.7k aspect ratio from 16×9 to 17×9. This is actually going the other way by recording a wider image than a taller one at the 4×3 aspect ratio. While not a “broadcast friendly” aspect ratio, 17×9 could be shot with the intention of cropping in post, or if you just wanted to have a wider video; it’s up you. 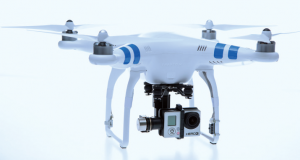 The final option with the GoPro camera is to shoot at 4k, which seems too good to be true. And this is because it is. The one caveat of shooting in this mode is that you are limited to 15 frames a second, which as we discussed earlier, is less than ideal as it creates a choppy video and is unpleasant to the human eye. Because the processor has to record the whole 4k sensor, it just isn’t fast enough to do it at 24 times a second. So, while I never recommend shooting in this mode, at the very least it tells me that the camera is downsampling from 4k when shooting in the Ultra Wide mode, which has a positive effect on the sharpness of the camera. So, now that you know the differences on frame rates and resolution, go out and start shooting! But don’t forget to check back! I’ll go over some other important settings in the camera, such as the different white balance modes, field of views, and what the heck Protune is and why you would want to use it. Before you take off: Check out some of the laws and regulations for flying drones.